This Week's Topic: What was the best book you read in January? This shouldn't be too difficult. With all the changes that occurred at the end of last year and beginning of this year, I didn't have much time for reading or writing for that matter. I only read two books, one of which was Harry Potter and the Deathly Hallows, which I wrote about here. 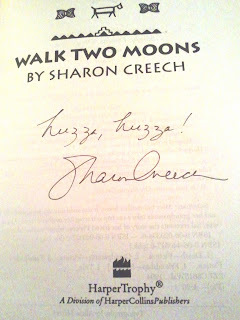 The other was a book I read for the Second Monday Book Club, Walk Two Moons by Sharon Creech. This was the perfect book to start the new year. 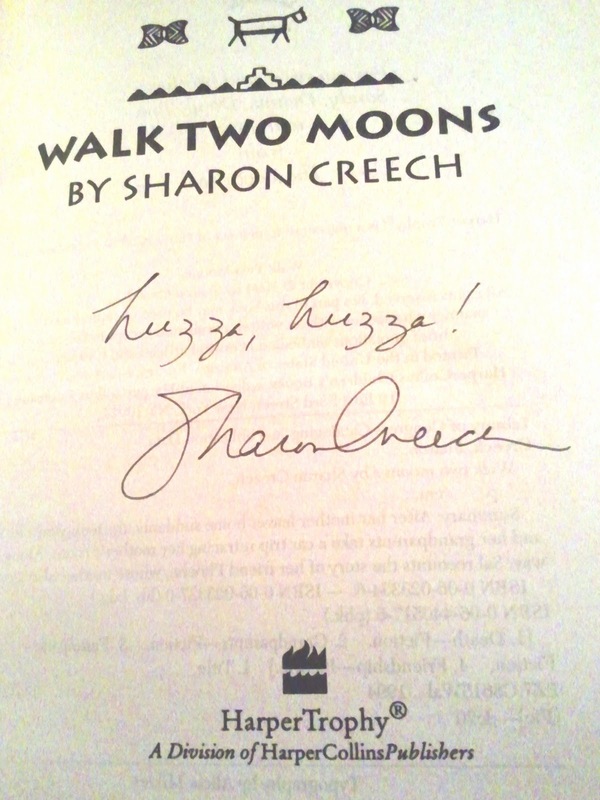 I had read it several years ago -- my friend Katie had sent me a signed copy of the book when Sharon Creech spoke at her library. Quirky characters. Quirky, compelling characters with stories to tell. Parallel storytelling with alternating timelines. Hints of mystery. Why won't Sal's mother return home? Who is leaving the messages on the Winterbottoms' front porch? Exploration of relationships. Sal and her dad. Sal and her mom. Sal and her grandparents. Her grandmother and grandfather. Sal's dad and Mrs. Cadaver. Sal and Phoebe Longbottom. Sal and Ben. Phoebe and her mother. Et cetera. One of the reoccurring themes in my own writing is the relationship between parent and child, so I particularly admired the three similar storylines of missing mothers -- Sal's, Phoebe's, and Ben's. Everyone has his own agenda. Oh, the birds of sadness. Someone got that book for me when I was 10 and I loved it. This made me want to find my old copy and reread it!